The TI-5034 continued the approach of the first TI-5034 introduced already in the year 1984. It was soon replaced with the TI-5034 SV (SuperViewTM). 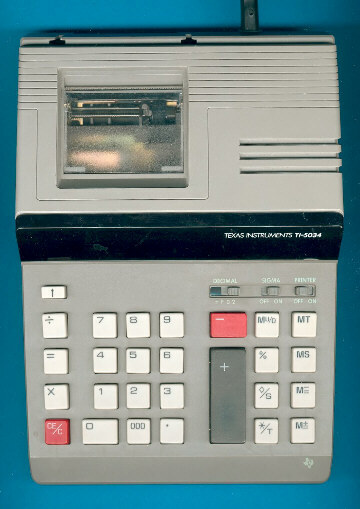 A smaller model with a LCD display could be found with the TI-5032. © Joerg Woerner, January 6, 2002. No reprints without written permission.